Designed for immediate gratification, this kit is made for office or at-home printing. Simply unzip the file, drop your preferred 11×17” paper into the tray, and hit ‘print at scale.’. Once you have your sheets, simply follow the template to cut out each placard and place them on your desired surface. 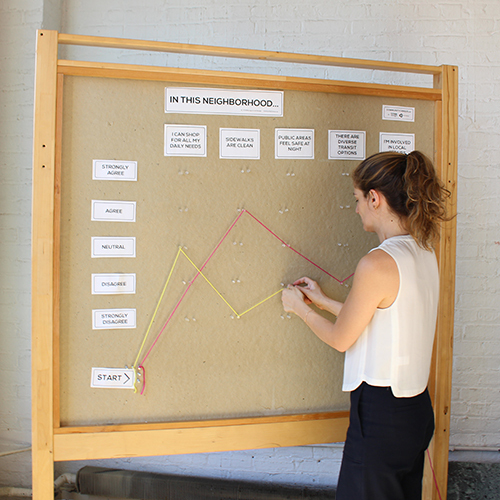 A neighborhood diagnostic to explore community resources and need. 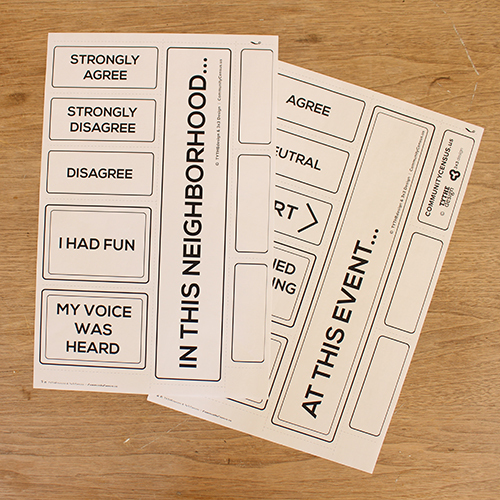 An events scenario to gauge audience interest and engagement levels. We’ve even included extra questions and suggestions for mixing and matching! 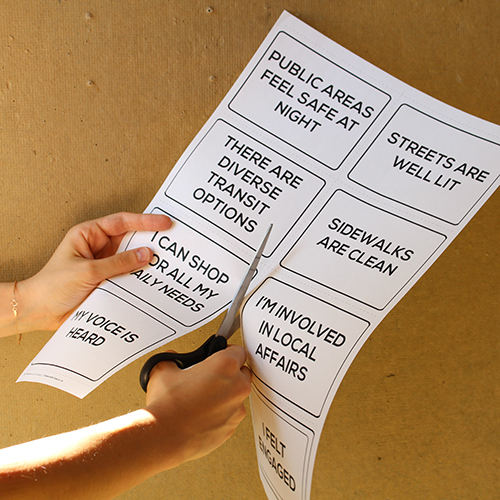 For those that love it and want to keep putting it to use, we suggest laminating your placards to extend their use. After purchase, you will receive an email a protected link for downloads within 24 hours. To ensure proper delivery, confirm your email before purchasing. Each order includes a single download. Please note: Set-up is scaled for a 3×4’ corkboard, but can easily be sized to match your desired or available dimensions. Check out our FAQ section for more information on how to customize Community Census for your context. – Local groups hosting a community meeting. 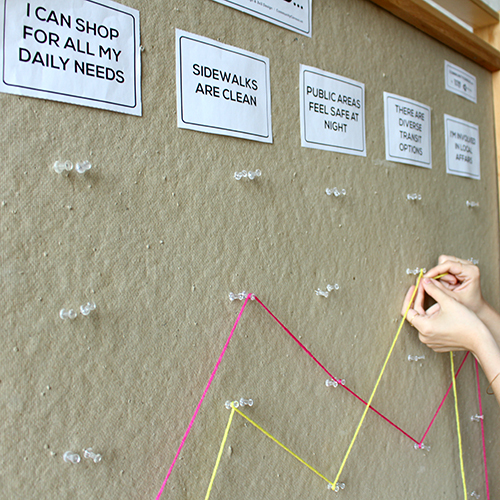 – Non-profits conducting outreach at street fairs or conferences. – Community organizations researching new programming. – Anyone holding a single event or simply interested in testing the concept out!